Europe's pastry chefs have trusted for years the vanilla pods, extracts and powder from Euro Vanille. We are pleased to introduce to our dedicated pastry aficionado and chefs alike the exact same ingredient used by renown chefs all over the world. 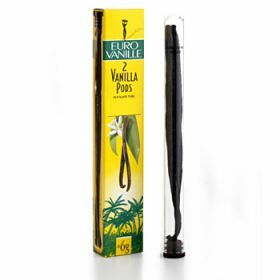 Keep your vanilla pods in an airtight container away from light in a cool place and if possible in a refrigerator.